Monument reaction • Rep. Mike Noel's bill touts tribal authority in bid to usurp federal control; Navajo leader says tribe supports the monument. Francisco Kjolseth | The Salt Lake Tribune Gavin Noyes, left, Executive Director of the Utah Dine Bikeyah Native Planning Institute speaks in opposition HC024, sponsored by Rep. Mike Noel, R-Kanab, at right, during the House Natural Resources, Agriculture and Environment Standing Committee at the State Capitol in Salt Lake City Tuesday, Feb. 28, 2017. HC024 encourages state acquisition of the Bears Ears National Monument. 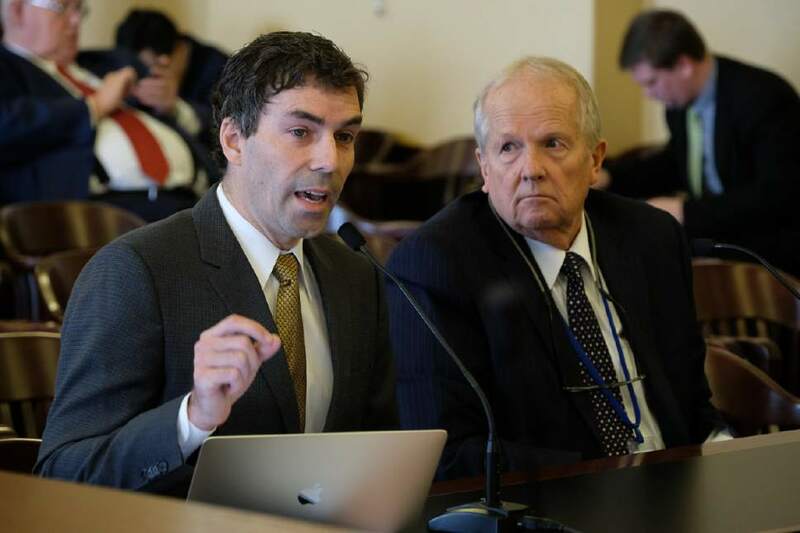 Francisco Kjolseth | The Salt Lake Tribune Rep. Mike Noel, R-Kanab discusses his bill, HC024 which encourages state acquisition of the Bears Ears National Monument during the House Natural Resources, Agriculture and Environment Standing Committee at the State Capitol in Salt Lake City Tuesday, Feb. 28, 2017. Francisco Kjolseth | The Salt Lake Tribune Gavin Noyes, left, executive director of Utah Dine Bikeyah, speaks in opposition HCR24, sponsored by Rep. Mike Noel, R-Kanab, at right, during the House Natural Resources, Agriculture and Environment Committee at the State Capitol in Salt Lake City Tuesday, Feb. 28, 2017. HCR24 encourages state acquisition of the Bears Ears National Monument. Francisco Kjolseth | The Salt Lake Tribune Gavin Noyes, left, executive director of Utah Dine Bikeyah, speaks in opposition HCR24, sponsored by Rep. Mike Noel, R-Kanab, at right, during the House Natural Resources, Agriculture and Environment Committee at the State Capitol in Salt Lake City Tuesday, Feb. 28, 2017. HCR24 encourages state acquisition of the Bears Ears National Monument.. Francisco Kjolseth | The Salt Lake Tribune Gavin Noyes, left, Executive Director of the Utah Dine Bikeyah Native Planning Institute speaks in opposition HC024, sponsored by Rep. Mike Noel, R-Kanab, at right, during the House Natural Resources, Agriculture and Environment Standing Committee at the State Capitol in Salt Lake City Tuesday, Feb. 28, 2017. HC024 encourages state acquisition of the Bears Ears National Monument. Utah lawmakers are pursuing another piece of legislation targeting Bears Ears National Monument, this time proposing the state take over these archaeologically rich lands in San Juan County and manage them in collaboration with American Indian tribes. Rep. Mike Noel&apos;s HCR24 calls on the state to acquire the "public land that is occupied by" the new monument using the Recreation and Public Purposes Act. The bill acknowledges the monument, encompassing 1.3 million acres surrounding Bears Ears Buttes, holds land and objects of great cultural, scientific and historical interest and are "profoundly sacred" to the five tribes that successfully petitioned the Obama administration to designate the monument. Noel framed his proposal as a way to ensure tribal management authority over the monument, something the presidential proclamation could not guarantee, although it pays clear deference to tribal wishes and traditional knowledge. 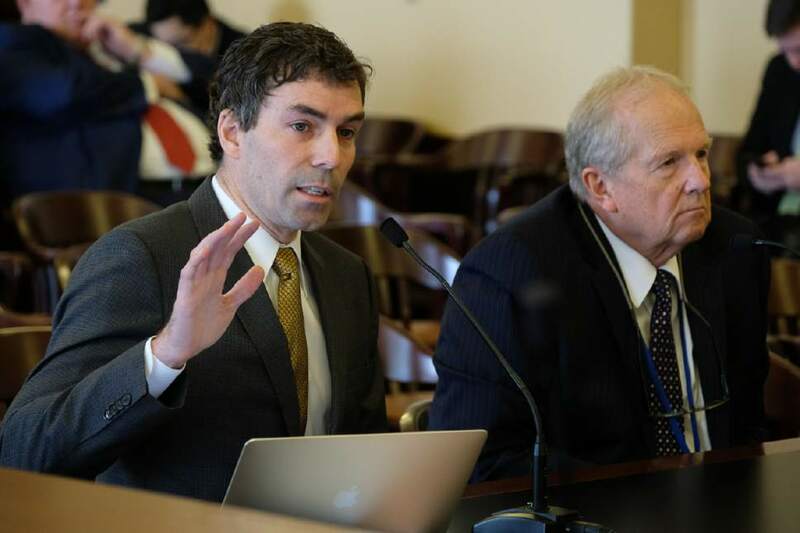 "This is an effort to get the discussion going, to talk about the Native Americans actually controlling that area," the Kanab rancher, who is among Utah&apos;s fiercest critics of national monuments, told a House committee Tuesday. The state "would work cooperatively with local elected officials, the local Navajo Nation chapter and other southwestern tribes, to structure a governance and management coalition plan that provides local and state stewardship over the Bears Ears." Meanwhile, Utah&apos;s Rep. Jason Chaffetz asked a congressional appropriations committee on Tuesday to not fund the monument because President Barack Obama designated such a large area over the objections of local and state leaders. Noel said his plan for state ownership came about from recent discussions he had with LoRenzo Bates, speaker of the Navajo Nation Council. Reached Tuesday, Bates re-affirmed his nation&apos;s support of Obama&apos;s monument designation and its belief that many Utah Navajo want the monument to remain. "I can appreciate his forward thinking," he said, "however, the nation&apos;s position is what it is. Any changes must start at the local level." Noel, whose district includes Bears Ears, is a vocal supporter of an earlier resolution calling on President Donald Trump to rescind the monument designation, a policy stance that his new bill does not supersede. "We still want that rescinded. That was a requirement of the Utah Navajo," he said, repeating the assertion that local American Indians are at odds with their national leadership over Bears Ears. "I have to respectively disagree because there is support," Bates said. "If there wasn&apos;t that amount of support the [Navajo Nation] council wouldn&apos;t have taken this position." The leader of the Ute Indian Tribe was also deeply skeptical of Noel&apos;s aims behind the proposed state take over of Bears Ears, especially after the state has worked so hard to thwart the five tribes&apos; desire to have the region protected. "Now our concerns and wishes would be honored by them? How ironic. They have publicly stated they want the monument undone. 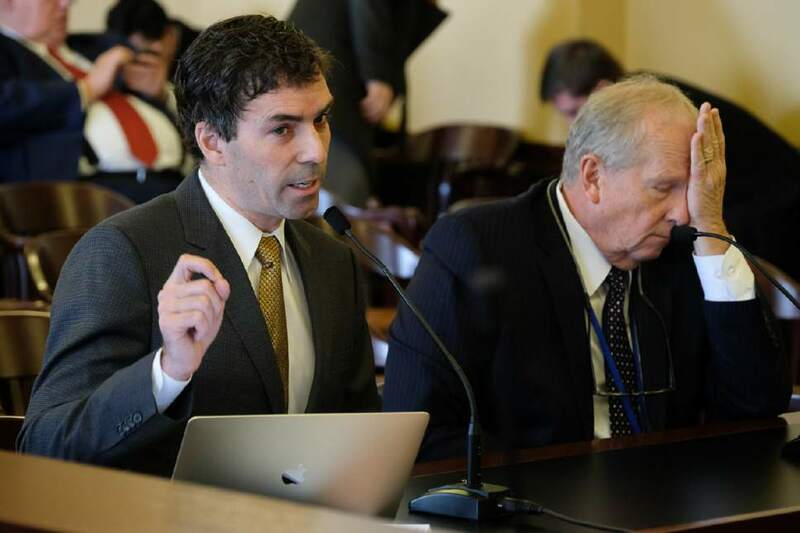 Their congressional delegation continues to covet the lands of the Ute Tribe and erase our entire existence through laws and other congressional actions," Ute Indian Tribe Business Committee Chairman Shaun Chapoose wrote in an email. "The irony isn&apos;t even laughable anymore, yet they continue to create a conflict when they should embrace and sit with the tribes and see how we can all benefit from the designation. Unlike them, I am willing to listen and take their concerns and ideas seriously." On a party-line vote the House committee advanced Noel&apos;s resolution, one of many he has sponsored this session pushing for greater local control of public lands. 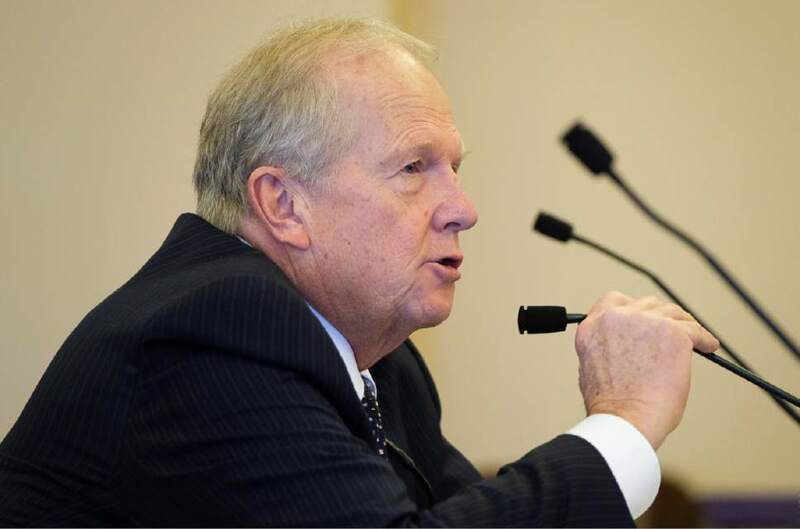 Noting Utah has slashed funding for Utah Division of State Parks from $12 to $4 million in recent years, Rep Joel Briscoe, D-Salt Lake City, doubted Utah taxpayers would want to be saddled with the expense of safeguarding the delicate cultural treasures found on the monument. The federal law Noel&apos;s resolution cites was passed in 1954 as a way for the Bureau of Land Management to transfer its holdings to states or qualified non-profits to support a recreational purpose. Utah officials have used it to establish many state parks, including such favorites as Goblin Valley, Dead Horse Point, Snow Canyon, Goosenecks, Bear Lake, Otter Creek, Coral Pink Sand Dunes, Escalante, Dead Horse Point and Kodachrome Basin. The law may come into play again with fresh proposals to establish state parks at Hole-in-the-Rock and Little Sahara Sand Dunes. However, the Recreation and Public Purposes Act limits purchases for a particular purpose to 6,400 acres per year, an amount that represents less than half of one percent of Bears Ears. There are no limits on the amount of land that could be leased, but there are strict requirements over how such land is managed. Another stumbling block is the federal land transfer law cannot be applied to national forests or national monuments or lands of "national significance." 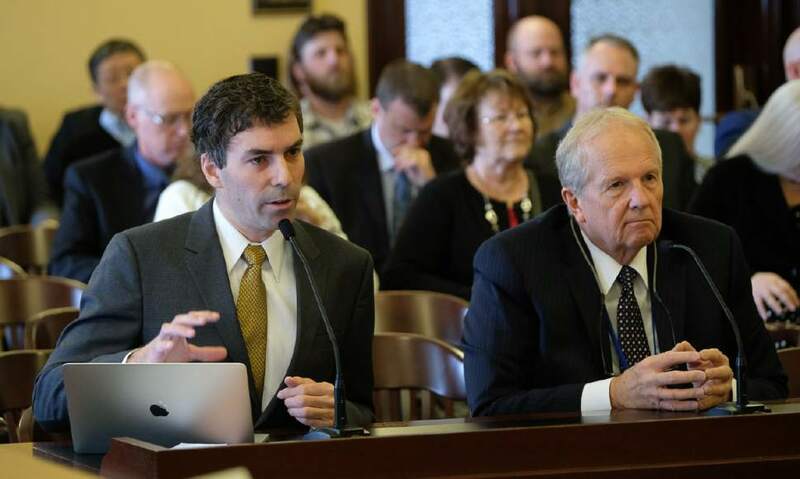 Monument backer Gavin Noyes, executive director of Utah Dine Bikeyah, supported the intent of the bill, but doubted the measure reflects the wishes of most Native Americans in San Juan County. "There needs to be better understanding that there are lots of local Native Americans who have their future invested in the Bears Ears National Monument existing. They are frustrated there have been so many attacks on this," Noyes told the committee as he sat next to Noel. "Our organization and all-Native American board has a vision of using Bears Ears as a driver of economic development." Pursuant to Obama&apos;s proclamation, the five Bears Ears tribes are forming a commission that will play advisory role in monument management. Once Interior Secretary nominee Ryan Zinke is confirmed, the BLM and Forest Service are expected to convene a public meeting to begin the process of developing a management plan.